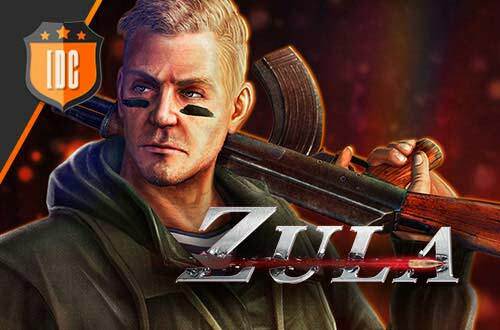 The second week Zula Europe Pro League began yesterday. The first match was a Polish derby between PACT and VirtuE. Both teams were in the middle of the ranking and fought for the three points to be in the top of it. The games were played in Old Town and Wedding Hall. In the first map, PACT players showed great motivation on the contrary to the previous week and managed to win with a result of 10 - 5 without giving any option to VirtuE players. In the rounds of attack, VirtuE could only get two points, which were not enough to stop the subsequent PACT attacks that only needed 6 rounds to finish the game. Miketsh has proved why he was one of the World Champions and together with his teammates formed an unbreakable block. The MVP of this game has been Miketsh with a KDA of 1.87 (13/8/2) followed closely by YouBreak with a KDA of 1.5 (13/10/2). In the Wedding Hall, where supposedly the attacks are more difficult than the defenses, PACT got 6 rounds in attack obtaining a very favorable result before his turn of defense. This time PACT needed one round less in defense than in the previous match to reach the victory. In this case the MVP was YouBreak, with a KDA of 2.25 (3/15/8). 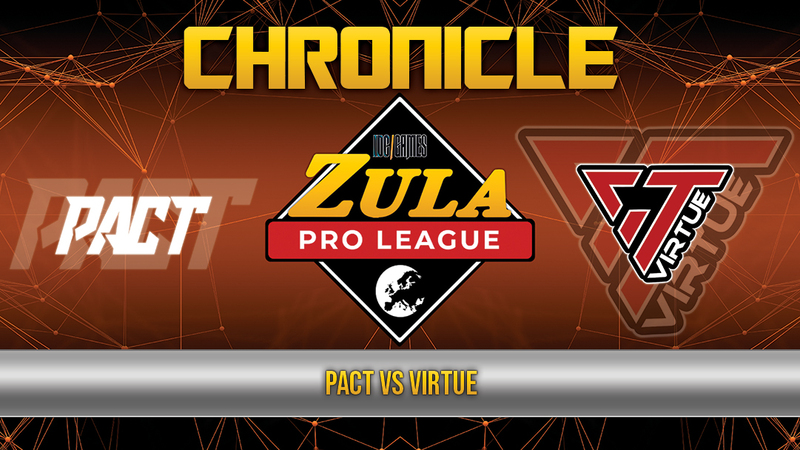 On this occasion VirtuE could not stand up to PACT, which showed that they have a great ambition to reach the top positions of the Zula Europe Pro League. 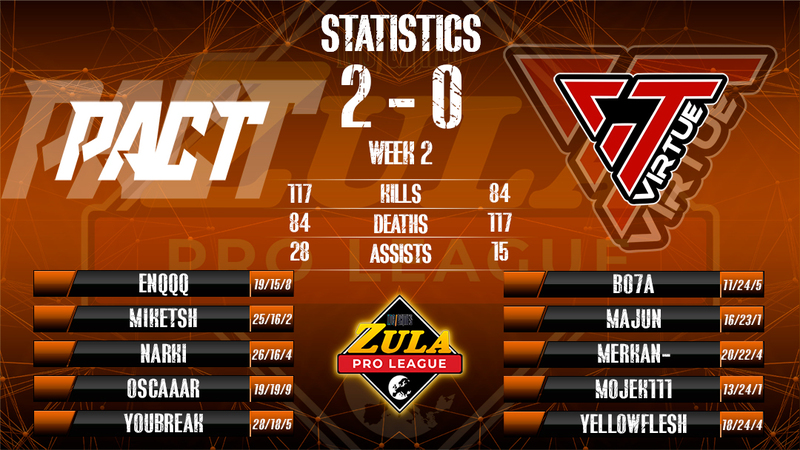 The final result, therefore, was 2 - 0 in favor of PACT who got 3 very important points to fight for the leadership of the Zula Europe Pro League.